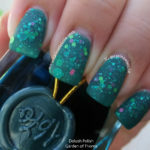 When I swatched —> Glittering Garland <— back in October, it kept screaming MEET ME UNDER THE MISTLETOE!!! MEET ME UNDER THE MISTLETOE!!!! It still kept screaming MEET ME UNDER THE MISTLETOE months later. I finally wanted the screaming to stop, so I did a comparison. 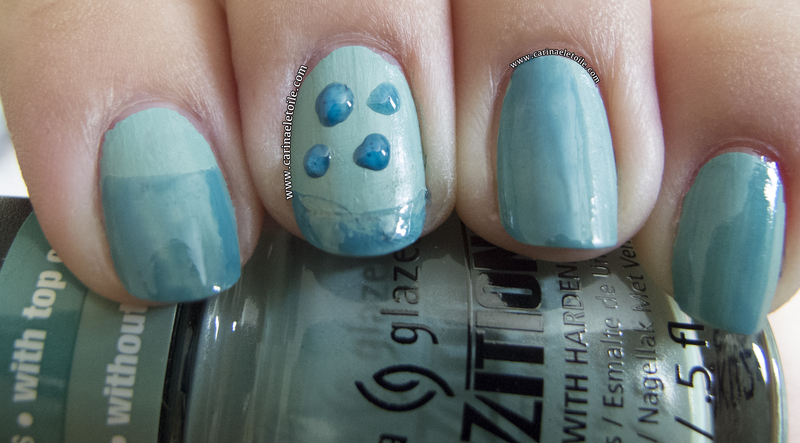 While they are not dupes of each other, I found MMUTM to have a little more glass flecks in it. Glittering Garland has a deeper, darker jelly base that almost looks black. MMUTM has a slightly lighter base. Come and see what I’ve got for a comparison today! As always, please click on the images to get the full size. They look almost alike here, but you can see that Glittering Garland has a slightly darker base with deeper, richer round of glass flecks. Though this is an overcast shot, you can see that it does emphasize the difference between GG and MMUTM. They are incredibly similar. I’m not going to scream dupe because they really aren’t. Overall, I find that Meet Me Under The Mistletoe has a bit more of a denser cluster of glass flecks. Almost like they just dumped extra glitter in! While I’m not complaining, it definitely is pretty. I’m glad I still have this in my stash! Also, thought it doesn’t show well in the photos (thank you non-sunny California day! ), the bases for both of them are slightly different. 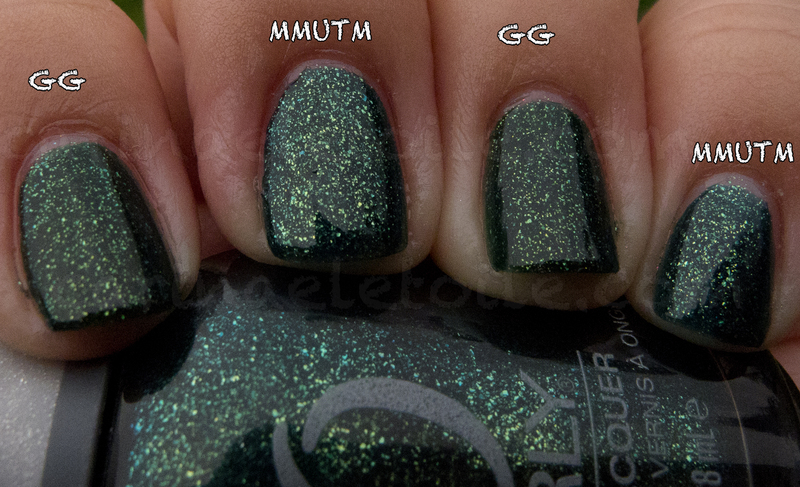 GG is darker, almost like a blackened green jelly, whereas MMUTM is a couple of shades lighter, yet still a jelly. There are more glass flecks/glitter in MMUTM while the glitter seems sparser in GG. If you get either one, you really won’t see a difference. However, if you happen to have both, you are one lucky person! Oooh. I was wondering about this myself, I’m glad you did the side by sides! I DO have both, and I’m very glad. Having both is a win-win in my opinion! 🙂 If you have one not the other, it’s still a win-win. They are similar enough, but only you would know the difference. Oh good! I have MMUM and wanted GG. Now I know I practically have it! !